Skechers Sundown Festival 2014 is an iconic music festival which brings Asian artistes and fans onto one singular platform, celebrating and bridging the diverse Asian culture through music and food. 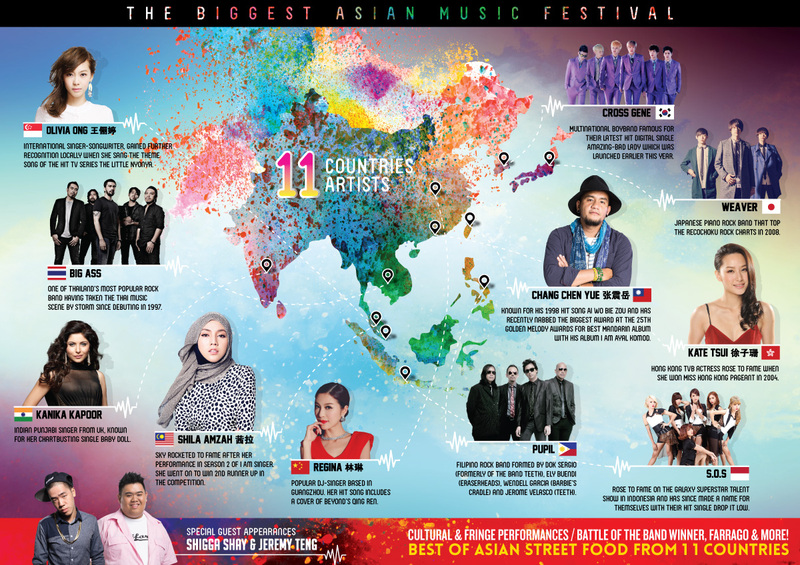 Spreading and extending its reach every year, the festival in 2014 will be featuring artistes from 11 countries showcasing the best local artiste from each country. Each year, selected upcoming and locally established artistes are lined-up for the showcase to keep the festival fresh for fans to look forward to. Aside from enjoying the music from the various countries, fans will also get to relish popular street food from the different Asian countries at the food stalls set-up on the festival grounds. Organiser Red Spade Entertainment started the festival in 2009 with the vision of establishing Singapore as the Asian music capital with Sundown Festival as a signature showcase of music talents and has successfully amplified each year’s festival to include participation from more countries to truly represent all of Asia. This fanmeet is open to the public as well, so do remember do head down if you want to catch a glimpse of the artistes before the concert. Tickets are on sale via SISTIC. So why are you hesitating? Join in the fun at Skechers Sundown Festival 2014.